The 2017 Nobel Peace Prize has just been presented in Oslo, Norway. The recipient is the International Campaign to Abolish Nuclear Weapons (ICAN). Nearly 500 groups are part of the Swiss-based alliance. The Nobel Peace Prize has been awarded to twenty-one Americans. The first was President Theodore Roosevelt in 1906 for helping to end the Russo-Japanese War. Roosevelt's remarks, delivered on his behalf by the U.S. ambassador to Norway, included this comment: "There is no gift I could appreciate more and I wish it were in my power fully to express my gratitude." Roosevelt's award was followed over the next quarter century by those of Secretary of State Elihu Root, President Woodrow Wilson, secretaries of state Charles B. Dawes and Frank B. Kellogg, peace activist Jane Addams, and educator Nicholas Murray Butler. At the dinner for Nobel Prize winners at the White House in 1962, two peace awardees were present: Ralph Bunche, an American, and Lester Pearson, a Canadian and future prime minister of that country. The American Friends Service Committee, a 1947 awardee, was represented, too. 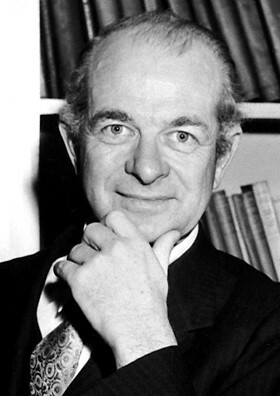 Linus Pauling, the 1954 Nobel laureate in chemistry, also was there. He picketed President Kennedy over a stalled nuclear test ban agreement outside the White House before going into dinner. For such activism Pauling would become the first American to receive two Nobel Prizes--the second one for peace. The photo of Linus Pauling, dated 1954, when he won his first Nobel Prize, from the Nobel Foundation [Public Domain], via Wikimedia Commons.